The 2016-2017 Southeast Ski Season is coming to its slushy conclusion and postmortems are commencing; one could say that as a patient it was struggling throughout and its demise is a shock to no one. So farewell, we hardly knew thee. Now, I’m moving on to a more cheerful topic. 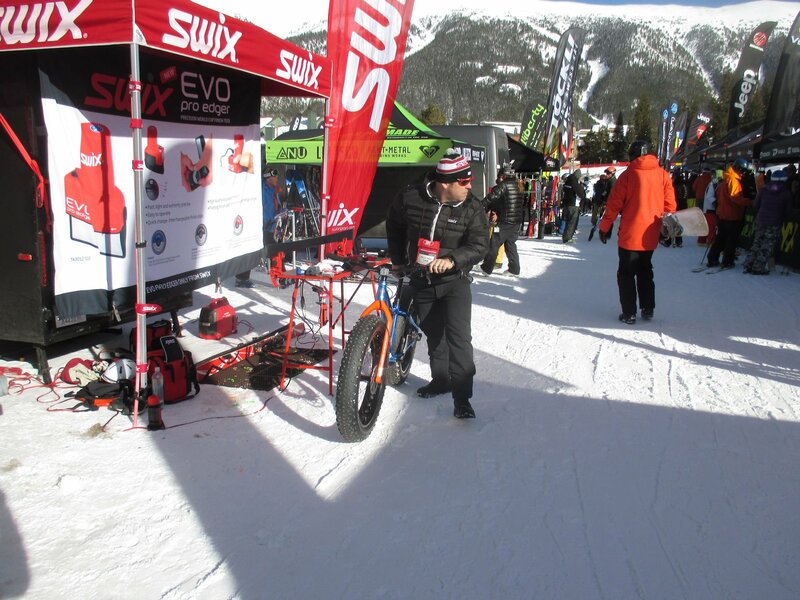 One of my best experiences this season was the opportunity to once again attend the SnowSports Industry of America’s SnowShow held at the end of January on the floor of the Denver Convention center and the two-day OnSnow Demo held at Copper Mountain afterwards. Just me and 18,000 pals checking out or showing off what will be offered to enhance next year’s sliding experience for us all. 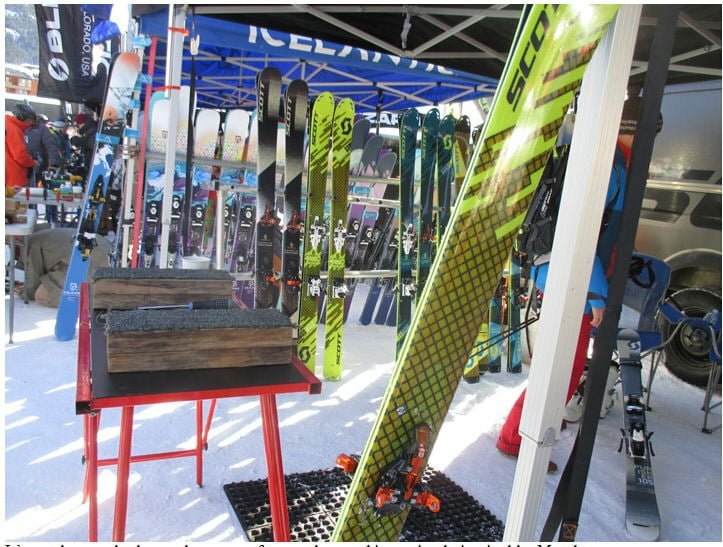 Beanies and gloves were donned, fabric swaths were examined, bindings clicked open and shut but most of all nearly every manufacturer large and small had next year’s skis and snowboards spread over acres in a nearly endless gleaming array. The Denver show is an opportunity to soak in the colors and fresh factory aroma, flex the camber, sightline the profiles, and marvel at the technology that is embodied today in these once humble wooden planks. They are still mostly wood at their heart, whether it is poplar, paulownia, bamboo or beech; but the materials and the technology that is now integrated around that core is an amazing thing to behold. And it’s easier than ever to see the advances because the engineers are so proud of their efforts that they have made them literally transparent. 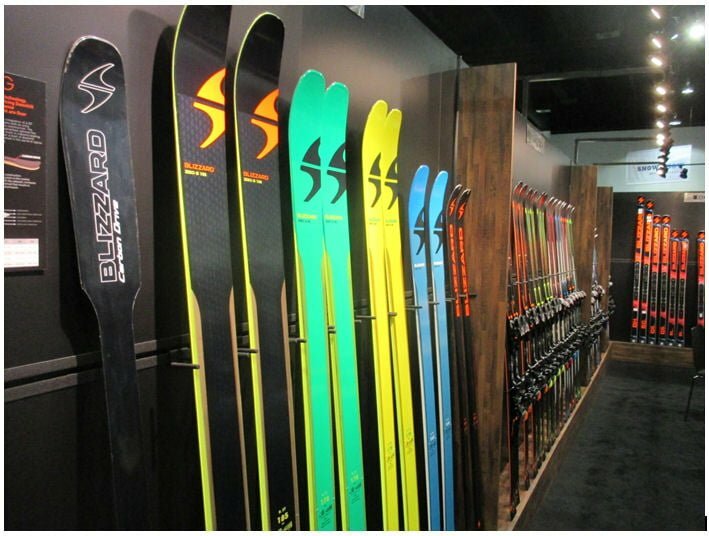 Naked Skis and other Trends for Next Season. If you have slaved away in the high tech basement of product development, laminating and carving unlikely new shapes, snipping pieces of titanal and wrapping everything you can find in carbon stringers, matrix and mesh; after all that it does not suffice to merely describe your masterpiece in a brochure; you want to make sure it can be seen through clear top sheets. For example here is the Scott SuperGuide with its 45 degree carbon layer laid enticingly atop a Paulownia core, the whole package in full and glorious view. It’s mostly muted colors and geometry for now, but graphics variously inspired by Munch, Manga and Hieronymus Bosch will have their day again. The pendulum swings both ways. How low can the weight go? All this use of carbon and other innovative materials is an expression of the industries obsession with making skis so light that they may one day just float away if left untethered. Compressed helium could be next; hey wait a second, I think I have an off season project to pursue, let’s keep that quiet for now. But as I discovered firsthand the industries efforts have paid off. When I picked up even the biggest sticks on display in Denver, it defied belief how light, almost insubstantial they felt in my hand; and yet, on the snow all but the most touring specific models have the dampness and lack of chatter that several years ago was only achieved with wall to wall sheets of metal. DPS was an early adopter of carbon technology and now carbon and similar materials are ubiquitous; whether as long strands, square grids or a Kevlar type mesh extending into tip and tails that are now only millimeters thick between their topsheet and P-tex base. In most mid to wide all-mountain skis the only metal sheet to be found is limited to the area directly beneath the binding; and you guessed it there’s a window in the top to see it. 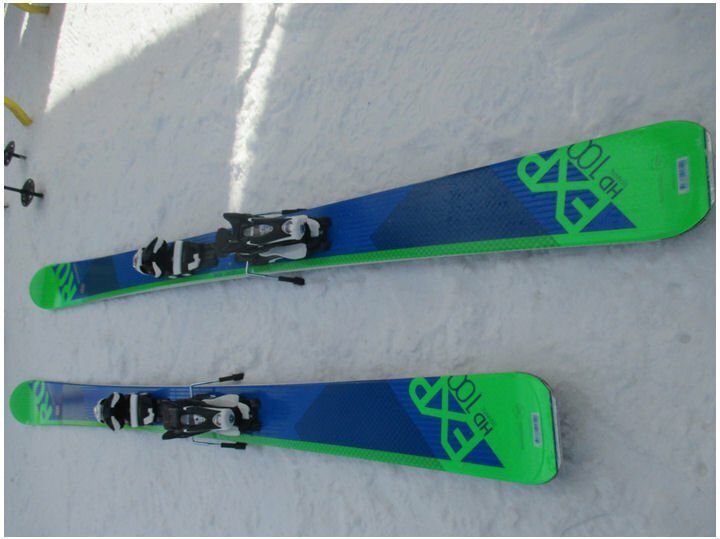 Companies are also reducing weight through changes in the shape of their ski tops. Now there may be a raised central rib which has a shoulder making the ski thinner at the edges thus eliminating some of the mass, as with Volkl’s V-werks. The Fischer Ranger series has a dome shaped top, aka Aeroshape (aviation terminology is always a crowd pleaser) which takes advantage of the fundamental strength of an arch to transfer force to the edges while eliminating material from the sidewalls. Alright, that’s enough of me floundering around in a discussion of ski engineering. Other trends struck me as well. The effort to reduce ski weight seems to coincide with an increasing focus on the industry’s only current growth market: the niche of backcountry skiing and touring. 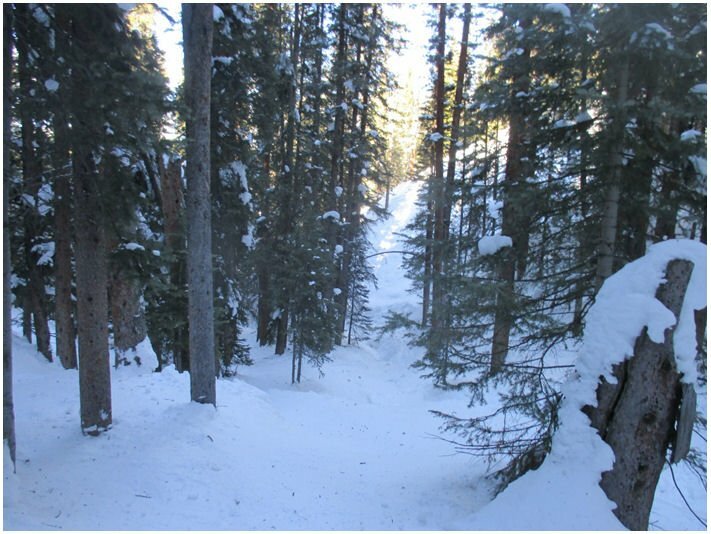 If park and twin tip designs ruled before; today more money is being spent by consumers on equipment that can take us into the untracked woods, couloirs, and cornice drops of our dreams; which hopefully will not end in the oblivion of a tree well or beneath tons of avalanche debris. After these purchases are made, then how much they are actually used, how many miles of pristine powder is slayed, these are more difficult figures to track, and perhaps irrelevant Now each company seems to have its own pre-cut climbing skin and often its own branded tech or frame binding on display. 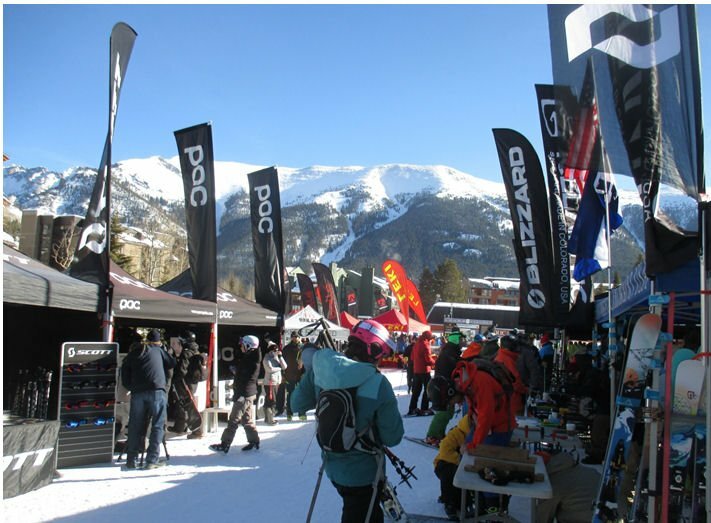 For two years I have skied only on Dynafit or similar pin bindings and when I was at Copper for the on-snow demo this year I found vastly more models of skis that were set up with Dynafits or G3 Ions than last year; and not just the ultra-lights but many of the big mountain chargers as well. Of all the possible buying tips for new equipment nothing is as important as testing the product before you buy. Take advantage of Demo Day anytime one is held or do a demo rental if you can. I got to attend the big one. This for me is the ultimate testing opportunity and I set myself a grueling pace but still did not get on all the skis I wanted. I did my exhausted best in order to bring back a thorough report to you all; the pleasure was mine to be sure. And speaking of reporting back, my status as a member of the media did make for some interesting interactions; already a little wide-eyed and overwhelmed by all that what was on display in Denver I would occasionally approach the gleaming altar of one of the big manufactures, let’s say Monumental Worldwide, and feel their eyes sliding down my chest to my badge emblazoned like a scarlet letter with the word PRESS, such luminaries might then bestow me a catalogue with a stingy lack of grace. Actually they always coughed up a catalogue because otherwise I wouldn’t go away. Tough vibe for sure at times in the fluorescent glow of the convention center, and me just a simple country boy. It was more convivial later as the beer taps opened, but I didn’t really feel right until I had the skis on my feet and not just in my hands. I did still get a ton of info though and honed my wish list before heading to Copper Mountain on Monday and Tuesday. Conditions were mixed but great for testing everything but deep powder. I tried over twenty pairs of skis but there were still way too many I missed. Aside from trends I’ve mentioned already, I had a general sense that even wide skis are showing more carve again and less surf. My favorite ski was still the Fischer Ranger 108 which I bought last summer on the basis of last year’s demo and is unchanged this season. I also tried their 98 width but even making fast turns on groomers I saw little advantage over its big brother. With their light weight and torsional strength fat is now slim; the widths are stepping back from 110 plus except for truly powder specific skis but skis in the 105 mm range (that being their width in the middle, the waist) can perform brilliantly in all conditions. This is aided by the trend back toward longer flatter tails, while there may still be plenty of rise/rocker at the tip, maybe as much as 30 cm before the camber and effective edge begins, this is less often the case at the end of the ski where the twin tip used to be so pronounced. So, you can still float on powder or plow through crud but the tail is there for power in your turn. And Now To my Favorites. As I said the Fischer Ranger 108 Ti remains my go-to all conditions ski, thoroughly supplanting my previous one-quiver ski, the Rossignol Soul 7. I can take them anywhere and if I draw a lot of puzzled stares riding the shuttle between Snowshoe and Silver creek, so be it. I’m ready for any storm and never again have to worry about a squirrelly tail that will lose its grip and spin me out at 45 mph on hard pack. I also love the way these initiate a turn, if I press forward into the wide stiff nose the ski immediately responds to dodge an obstacle in the trees or commence an heroic arc on corduroy. My current Rangers have a lot of life left in them, but were I to buy a second pair of skis this summer I would depart from my personal trends and return to a ski that felt old school to me and was narrower than anything I’ve bought in a while. The Rossignol Experience 100 SD is still wide by usual Southeastern standards but narrower than any of my other favorites this trip; narrower perhaps but also heavier with a trench carving edge that turned my runs into my own private giant slalom event, podium please. If staying in-bounds this is the ski I would buy. 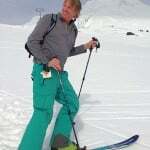 With minimal rocker at tip and tail and a Carbon and Basalt matrix (so Rossi claims, a ski with stones I suppose) and lots of titanal to boot; this was a fast, firm ski with an active edge from tip to tail; at 182 cm it skied bigger than anything I tried. It’s a burly, powerful, high performance ski and I want it. Even if not my personal favorite the easiest ski to recommend of the dozens I tried might be the Scott Punisher 105 because of its versatility. It’s still a wide ski at 105 millimeter but it actually felt smaller and more manageable than the Experience 100 did on earlier mach speed runs, so perhaps a little less heroic but still stable, fast, and chatter-free. These have less flotation than my Rangers but still plenty of lift and I’d feel confident on these skis in any conditions. Other standouts were the DPS Wailer 106, basically in a tie with the Punisher but a better backcountry option; and the Icelantic Vangaurd which at 188 cm is the longest ski I’ve been on since 1978; good lord, if I’d had a ski this good back then, the damage I could have done. I also tried a fully rockered Dynafit Beast 108, there was not a lot of powder that day but when I took them into the narrow tracked out trees they slid through the gaps as if by instinct, mind you on groomers they were more like a sailor’s first night on shore leave, but they are specific tools for a specific mission. So there’s my takeaway from an amazing few days; I wish I’d tried more boots but demoing boots takes more time than just bouncing from ski to ski. I will say thanks to Fischer again; the first day I wore my own Scarpas and only demoed skis that were mounted with tech bindings, so on the morning of day two I got into a pair of Fischer RC 4 120s which were an immediate solid fit so they let me keep them all day as I worked my way through the skis with alpine bindings. I can only imagine if I actually did the vacuum fit how good these boots would be, I’m sure I would own them for years. Next year they and many manufacturers may follow the lead of the Blizzard Cochise series and provide a sole that is compatible with tech or alpine binding set-ups, great news to me. Well that’s all for me folks, for now. I am not saying my season is over; I still may spend a few May days at the beach. And when I say the beach, I mean some tailgating and late Spring corn at Arapahoe Basin. Y’all know what I’m talking about! Thanks to everyone who’s followed my articles this year, even the very long ones. 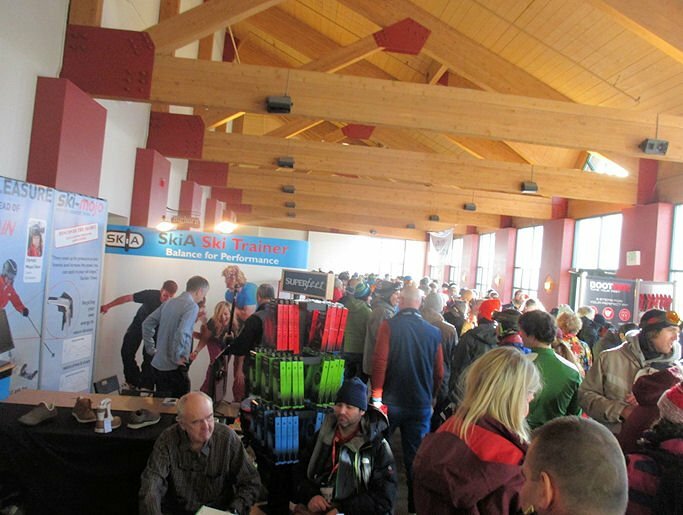 Thanks beaucoup to Mike Doble, and to Kenny, and it was a pleasure to finally meet Brad, Joe, Sean and many old friends at the SkiSouthEast Snowshoe Summit this year. 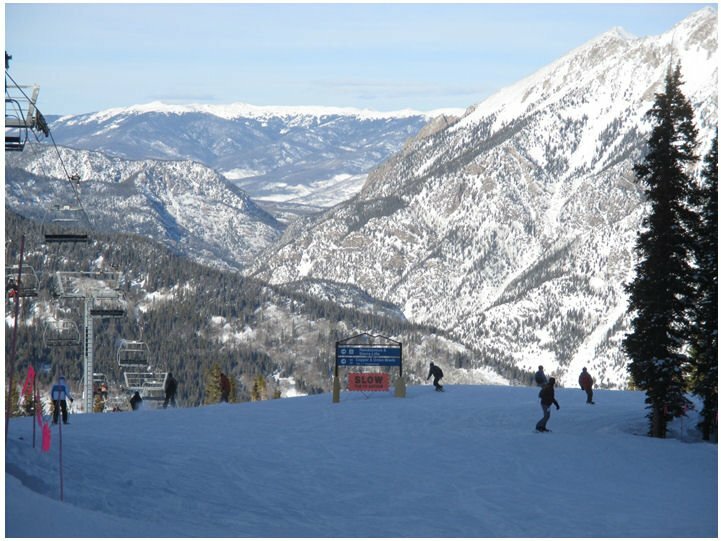 Previous articleSki Resort of the Year Award Goes to…read on to see where!